Motivational author Jon Acuff opened the recent 2019 Recruitment and Retention Conference stressing the need for recruiters and industry leaders to understand the challenges truckers face every day. Brad Holthaus, from Conversion Interactive Agency who hosted the conference with Transport Topics,, said the most common complaints drivers air involve compensation, home time and getting treated with respect. Drivers depend on good information from their dispatchers and their warehouse destinations so that they can plan their journeys well and maximize their time when they arrive. What’s causing this lack of truck driver retention? 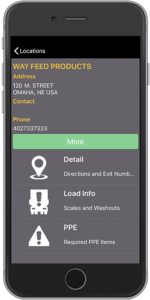 DeliveRecon is a mobile app designed with driver communication in mind. Truckers talk to each other and look out for each other because in today’s world (and historically to some measure), let’s face it, they often feel disrespected. Consider the lifestyle of the average over-the-road trucker who lives in his cab 24/7 for weeks at a time. Imagine how many maddeningly aggressive, inattentive or downright dangerous drivers they encounter daily. Think of the clock constantly ticking, the competition for parking, weather, and the myriad of other hazards threatening to put them behind schedule and on everybody’s bad side. The abuse doesn’t end at the interstate exit. Drivers are often savaged by receiving managers having bad days. They encounter yard foremen tired of explaining procedures to every new driver to the route. Their dispatch receives complaints about them because they were not provided the information or training to set them up for success. And at the end of the day, the driver has suffered the brunt and burden of the industry for being the most forward facing representative of the industry. Que Mr. Dangerfield one more time: “I don’t get no respect”. Can an app really improve trucker retention? DeliveRecon gives respect back to the truckers by giving them a voice. DeliveRecon allows drivers to access a list of company customer locations or to “quick” access locations within a specified radius. Selecting a location will pull up all of the data stored in the company’s secure database. Drivers will have access to such info as directions, load info, scale info, required PPE, and more. The data is added and updated by drivers by means of text, audio, photos and video on the scene. And since DeliveRecon offers UNLIMITED scans per month for one flat fee, we take the guesswork out of budgeting data. No longer does a driver have to deliver blind. 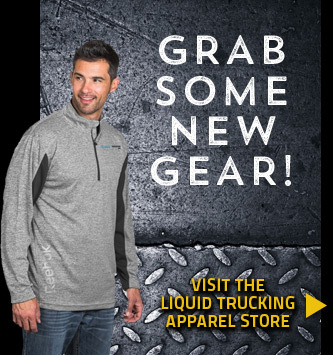 They have the knowledge and support of other truckers to know what gate to enter and what PPE to wear and what dangers to watch for and how best to serve the customer and get back on the road quickly and safely. Truckers talk to each other and they look out for each other. DeliveRecon is looking out for truckers because we are truckers. We are in the business of giving a voice back to the drivers and directing the conversation toward the common goal: safety, the load, the customer and respect for the driver.